If you have a pet, you know how important smells are to him or her. Each time we enter our homes we bring the outside world in for our pet’s olfactory exploration. This includes the backpacks, coats, and lunchboxes our kids bring home from school, which often contain the remnants of goodies pets find irresistible. People food – Many common “lunchbox foods”, such as chocolate, raisins/grapes, macadamia nuts, and many processed foods, can be toxic or cause gastrointestinal distress in pets. Xylitol – The artificial sweetener Xylitol is extremely poisonous to pets, especially dogs, and is found in a variety of sugar-free food items, including gum, peanut butter, and baked goods. Food packaging – In the excitement of investigating, pets may swallow bits of plastic wrap, aluminum foil, and other packaging, which can become lodged in the stomach or intestines and create a pet emergency. Medications – Over-the-counter pain relievers, ADHD medication, and albuterol inhalers can be surprisingly tempting for pets. These items are extremely dangerous if ingested or inhaled. Hand sanitizer – Routinely found in kids’ backpacks, hand sanitizer may be appealing to pets if it is scented (most pets don’t find the odor of straight ethanol appealing), and ingestion can lead to vomiting and weakness. Nicotine products – Cigarettes, liquid nicotine, and even nicotine gum are all extremely dangerous to pets, and can quickly lead to death if too much is consumed. 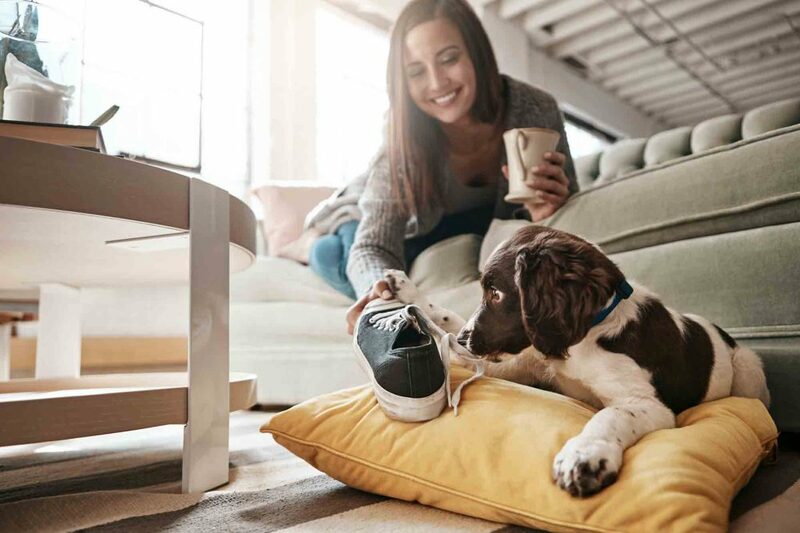 The easiest way to keep any potential pet toxins away from your pet is to institute a strict “off the floor” policy when it comes to kids’ belongings. By insisting that all coats, purses, backpacks, and lunchboxes are put away immediately (and sticking to it), you will be ensuring that your curious pet stays out of harm’s way. Despite our best intentions and efforts, pet poisonings can and do occur.. If you know or suspect your pet has ingested something he or she shouldn’t have, please don’t hesitate to call The Pet Experts at The Pet Experts at Elmhurst Animal Care Center, or the ASPCA’s Pet Poison Hotline. Next: Curious Dog Behavior: Why do Pups Drink From the Toilet?